Mail account creator updated to version 5.19. 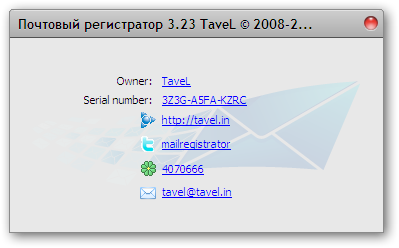 Implemented account creator and checker by ukrainian mail service Meta.ua. Account creator Meta.ua able to generate and validate an alternative mailbox, activate accounts with additional CAPTCHA, and also activate POP3 and SMTP on the accounts. Meta.ua divides the IP-address to the “trusted” and “untrusted”. With the “untrusted” IP-address is required to be indicated and the confirmation of an alternative mailbox, as well as input additional CAPTCHA after following a link from a letter. For a “trusted” IP-addresses to specify and confirm the alternate email address will not need to. Account creator Meta.ua automatically determines the appropriate action for any IP-address. To activate the POP3 and SMTP protocols for all IP-addresses needed recognition of another CAPTCHA (reCAPTCHA). Thus, for a “trusted” IP-address of the full register and activate the account will require 2 CAPTCHAs, and for the “untrusted” – 3 CAPTCHAs. Owners of the full version can just update their build from the blog, the other customers can buy account creator and checker Meta.ua for $49. Во втором случае отчёт о неверном коде не будет отправлен на капча-сервис, т.к. нет никакой возможности определить, верно ли разгадана капча. Для версии 3.52 оба лога являются нормой. Если на две капчи подряд Yahoo ответит ошибкой “Неверный код капчи”, ip прокси будет забанен по причине превышения лимита регистраций.